I had the wonderful pleasure of interviewing the amazing Evah Fan & Brendan Monroe for Lost At E Minor! Read it here! 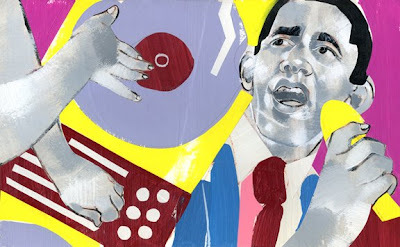 On the relationship between Obama & Hip Hop. Read the article here! ProSales & Personal Site Update! 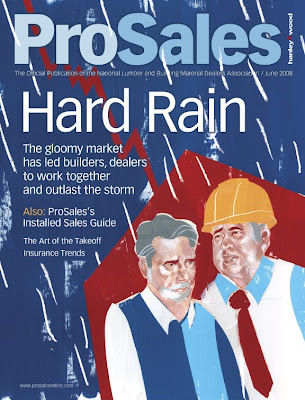 Cover for this month's ProSales Magazine. 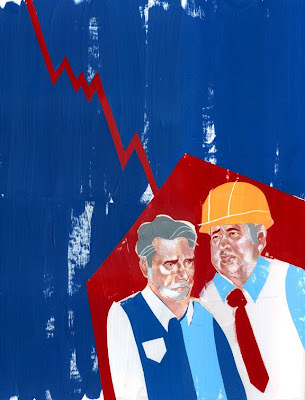 About how fallout from the declining housing market is trickling down to builders and lumberyards. Note, this is an alternate version of the cover, the published version includes heavy rain falling--went better with the headline, "Hard Rain". I did so enjoy this more sparse version though! Will put up a scan of the actual cover once I get a copy! On another note, I have just updated my website after almost six monthes.....lotsa new work (though not quite so new for anyone following this blog). 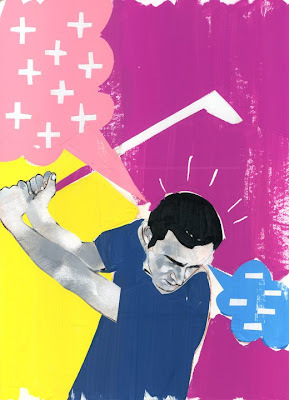 this month's column discusses how to turn performance pressure into a positive.